Some companies and organizations face a lot of problems as a result of traditional methods of storing documents; this leads the developers to develop different digital methods for indexing documents electronically to facilitate the storage and retrieval process. Where digital documents are indexed alphabetically, makes it easier to search by using the letters only to find files. This type can be created through key words, according to the work of the organization and its various activities and staff. 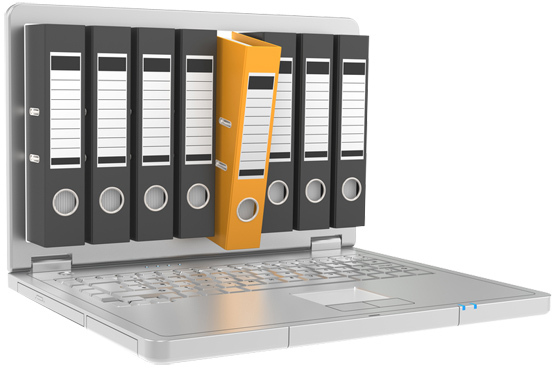 Files and documents for each management department can be divided, where the user can access the files of his department. Electronic indexing helps achieving a lot of work in less time and be finished on time, without committed to the routine and official procedures. User can access documents remotely through electronic indexing which allowing him to retrieve documents from different places. Electronic indexing enables employee to access customer data in no time which increases customer satisfaction and reach high level of service. Electronic indexing process costs are considered low costs according to those paid during the use of paperwork, and its losses. Electronic indexing made by advanced software through steady steps which performed by the user to index his documents. Electronic indexing helps authorized user only to access documents and that it keeps the confidentiality of documents and avoid penetrate. There are many factors that helped in the success of the document management systems software and the most important of these factors is electronic indexing with various types and multiple benefits that help to increase productivity and improve business performance. You can visit iDOX website for more information as you can participate through comments and messaging team by e-mail.